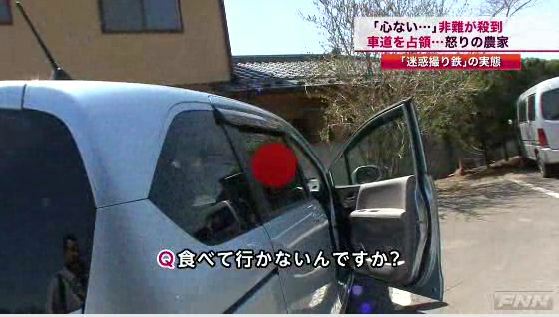 ← Is Japanese TV Weird And Terrible? Birdwatchers watch birds. Peoplewatchers watch people. Trainwatchers watch . . . umm trains? No, they don’t just watch. They love. They obsess. They fantasize. They idolize trains. My new dream is to do what Yasushi Akimoto did for AKB48 (turn Japanese high school girls in uniform into an unstoppable national idol group sensation) except for trains. 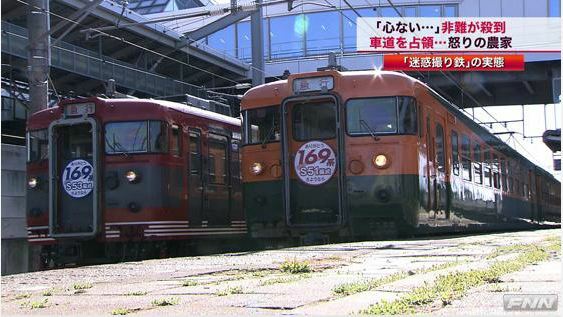 Picture a Japanese idol singing group made up of trains. Let that sink in. It would take the country by storm. Don’t worry about the logistics of it. Trains in Japan have a deity-type status. They are (really) fast. They are clean. They are ridiculously on-time (despite suicide by train being a less than rare occurrence). 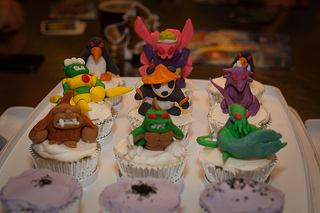 They look cool. They are constantly updated, improved, and evolving. Japan loves its trains. Anyone who has been to Japan probably loves their trains, especially when they go back to their home country and compare them to the weak and pathetic trains of their own country. But there is a dark side. A group of train lovers forming massive cults, hijacking trains, and running them into houses and buildings causing mayhem and destruction? 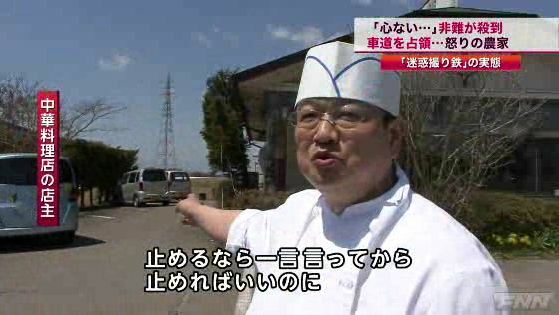 Let’s take a look at what a major TV station, Fuji Network News (FNN), decided to cover recently. I will appropriately borrow a few pictures from them, because the world needs to know this truly horrid story. It starts off like any train story. These trains pictured above are of a classic variety (okay to be honest I have no idea what these trains are. 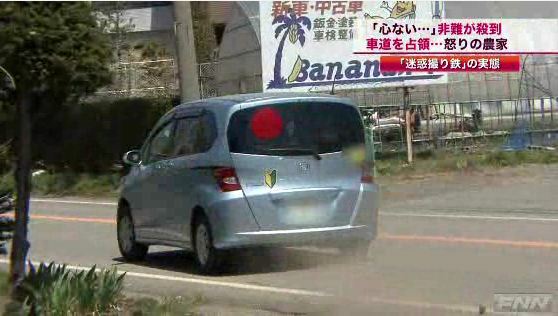 They are orange and yellow and red). But I’m sure any train expert could write up a nice 20 page summary of this. I can’t remember if these are new trains being debuted, or whether these are old trains being retired. Either way, excitement is in the air. Enough to gather a large crowd of picture-taking train fans. Don’t worry, this is a family friendly place, with little boys and families taking part in the festivities of this event. But happiness is short lived. Things start to get out of control. 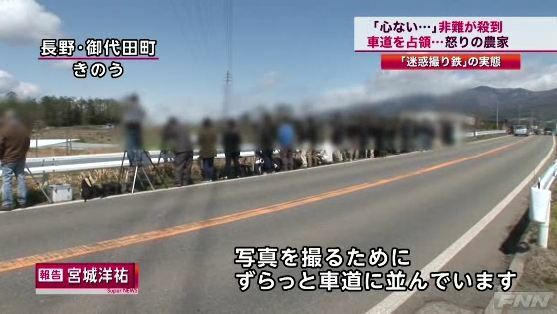 A highway road with a lot of people blurred out by the news program. They must be doing something illegal, enough to hide their identity like you would when you show criminals on TV, or something so embarrassing that would destroy their lives if their friends or family ever found out. There they are from afar, lined up, waiting for the train. Are they all going to jump aboard as the train passes by? Ahh okay, they are just taking pictures with their cameras. Taking pictures of public things in most countries is pretty common and safe. 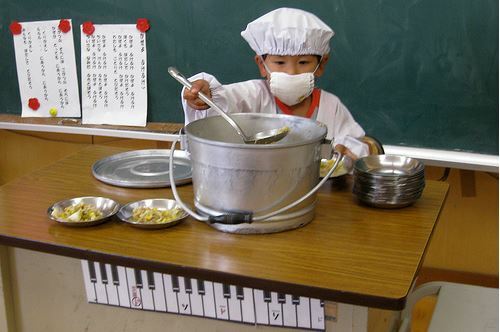 Japan is no different. Ahh, I get it now. They are highway disrupters. A very refined class of criminal. 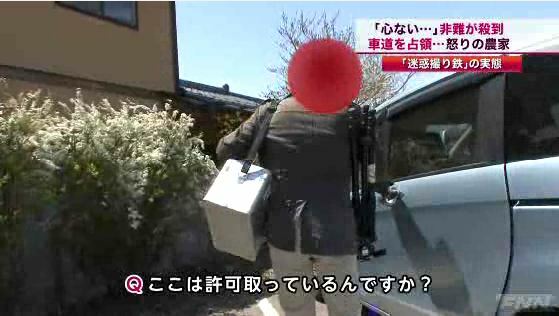 The reporter shouts “Watch out! Watch out!” warning the train fan crossing the highway. The same highway that him and his crew are standing in the middle of. But time to dive into a criminal interview. Asked a silly question? Got a silly answer. Whatever the response the reporter is seeking just falls flat. This may just be an effort to show the cold-hearted nature of the act and the thoughtlessness of the people involved. Oh but it’s not over. It gets worse. Evil, perhaps. Train watching, surprisingly, involves use of a car. And these train watchers need to park somewhere, as they can’t just leave their cars in the middle of the highway while they take their train glamour shots. So some parked at a nearby Chinese restaurant with a large and somewhat empty parking lot. It’s time for a sting operation. The camera crew and reporter will wait, patiently, for their juicy news story. This begs the question of how long they would’ve waited for this action scene. But they got it, finally. Time for the real horror to begin. Okay, good start. 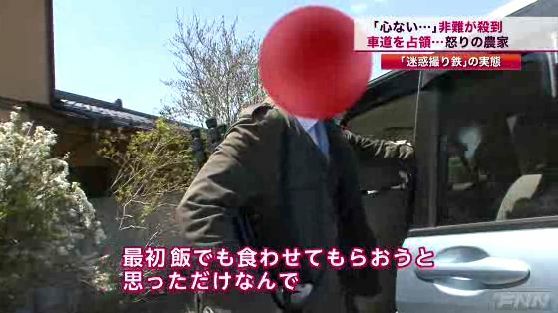 Get the criminal to admit his crime on camera. This can be used as evidence later in court. Good alibi. This guy is a pro. 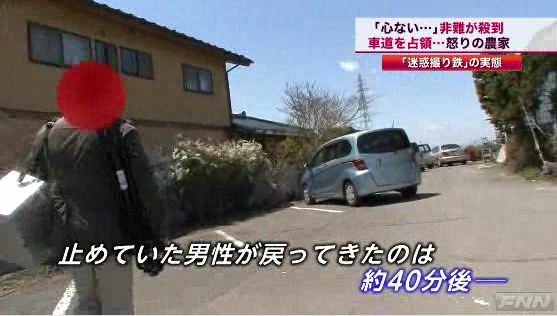 But Japanese reporter, you can’t give up here. Show your training. Nice follow up! Now you’ve got him cornered. How in the world could he possibly defend this? No! He resorted to disrespect to the reporter. And he’s practically admitting the crime. Better go in one more time and repeat the question just in case he didn’t understand it the first time. We don’t want to have an innocent portrayed incorrectly due to mere misunderstanding. You got your question in again. But wait, he’s not responding. He’s starting up his car. This can’t be good . . .The climactic moment begins! And he’s gone . . . With dust trailing behind him due to his speedy escape. 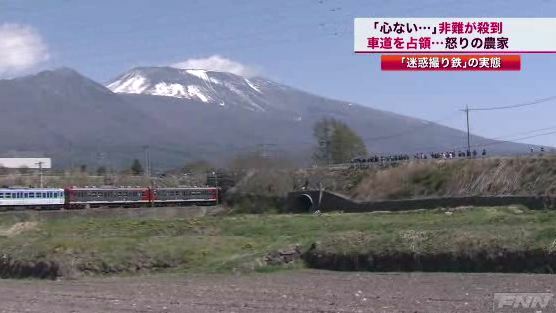 And so ends an epic story of what proves the dangers of liking trains too much in Japan. If you weren’t expecting the graphic images I showed you above, I apologize. Give it some time, and you’ll recover. Maybe my Japanese train idol group is a bad idea. From the title I thought this article was going to go in a whole other direction. Made me laugh though. Yeah I used a bit of misdirection on this. I’ve decided I want to start adding more Japan-related and Japanese culture articles to Jalup. I think that this still goes with the theme of the site. It does fit somewhat, but it is the first of it’s kind, right? I honestly can’t see this happening in any other country. 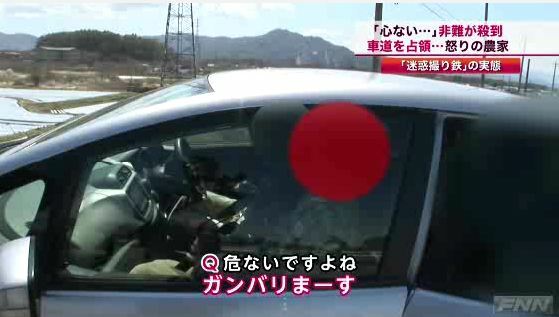 It’s so… Japan, to take an innocuous activity and find some obscure rule being broken to shame people out of doing it. Yes, it is the first of its kind. Though the Japanese written posts also covered culture. 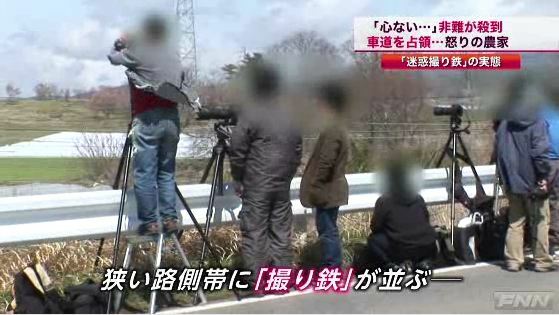 Silly Japanese news reporters are a very important part of Japanese culture! Funny, funny, funny! I want more articles on Japanese culture! 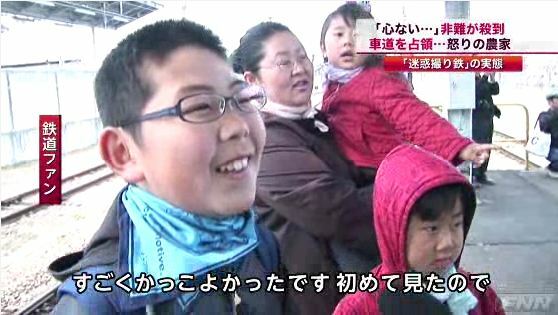 When I grow up, I wanna be a bullet train! 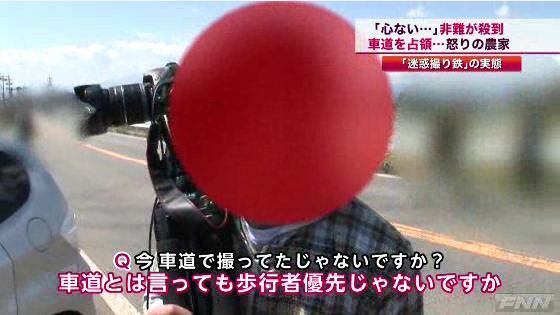 BTW: most Japanese photography and video blurs out people’s faces. They do the same thing as Google maps does. That doesn’t make anyone a criminal. Going to beat me in the race to create the ultimate train idol group? Nice video haha.